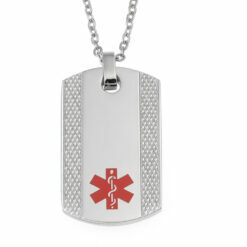 This medical information necklace is made from stainless steel and is supplied with a choice of chain sizes as standard. 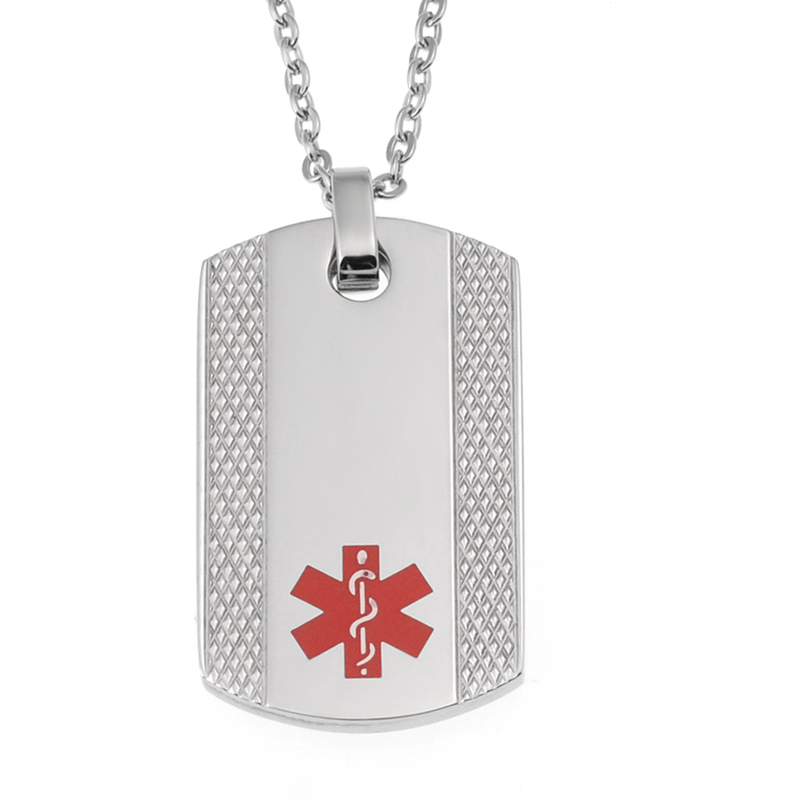 This stainless steel silver medical information necklace is both stylish and functional. 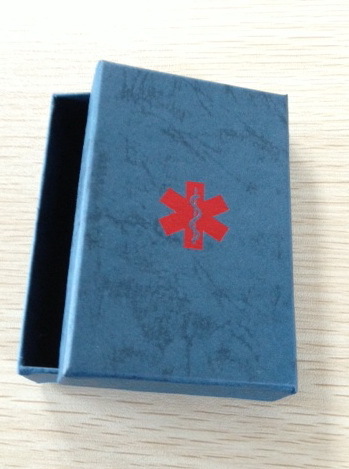 It has a red medical symbol on the front to mark it has holding important medical information. The necklace comes with a free presentation box and a stainless steel chain as standard. Choose your chain length of 18”, 20” or 24” from the dropdown menu. The back of the necklace can be engraved with up to 4 lines of text so there is plenty of room for all of your medical information. 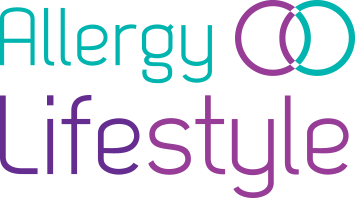 Each line can fit up to 18 characters (including spaces). Our jeweller uses a diamond engraving toll to cut into the surface for a discrete effect. Colour infill is not used. For an example see above image. Or you can purchase without engraving and have your local jeweller/engraver engrave your details for you. 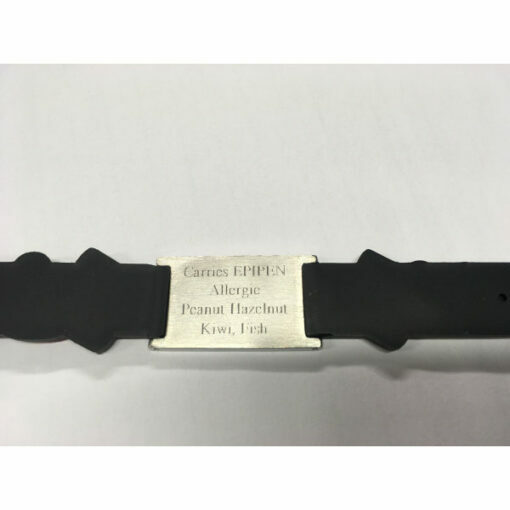 for engraving, just check the personalisation box and also fill in your message in the space provided. or you can purchase without engraving and have your local jeweller / engraver complete the details for you.